Cats and the internet go hand in hand, and apparently the same is true of cats and blockchain technology. Why? Because cats. A game called Cryptokitties has spiked in usage, and at the same time pending transactions on the Ethereum Blockchain have spiked as well. It’s an interesting vulnerability that was probably not foreseen by many – that something purported to be pretty much indestructible could be impinged on so strongly by a game that in some ways reflects what many see as the smoke and mirrors nature of most cryptocurrencies. $3 Million for a digital cat anyone? Most of them only cost $109, and 22,000 of them have been sold. The argument for cryptocurrency and its legitimacy as a currency relies on comparison with the dollar and the fact that it is no longer backed by the gold standard. If the dollar is just a representative idea for an agreed upon value, then how is it any better than a cryptocurrency which is likewise a symbol for an agreed upon value? The counter-argument pushes the notion that traditional currency is more widely agreed upon, and is therefore more stable, and is backed by large corporations and governments, and has been in existence for a long time, and is therefore less likely to go anywhere … which they say is not true of a turbulent system like many cryptos. Observing the rise of super-inflation, the conspiracy theories around Ameros and other currencies, and talk of trading blocks controlled by the Bilderberg Group and the Rothschild Family, and the way the economy works for those at the top compared to those at the bottom, one can hardly wonder at people wanting to invest in something outside of that system of control. There is a notion for some that traditional currency is actually destabilized and less reliable than things like Bitcoin. Why? Because the notion of The Blockchain – a distributed ledger system that is posited as being an unhackable means of recording all transactions, provides transparency and accountability for those moving money around within it – something not currently true of traditional currency, Bitcoin and other cryptocurrency advocates say. There have been instances where people have stolen Bitcoins though, and if it can be built by humans it can be broken by humans, and it can be exploited by humans. Cryptocurrency is being exploited by terrorists and other criminals though, runs the argument – it is used for drugs deals and illegal arms and all kinds of under the radar activities that need to be stopped. The argument that it is easier to do illegal things with cryptocurrency doesn’t necessarily bear out though, when you consider how much illegally made money is laundered throughout the world, and how dark money even makes it way into the political system, affecting the political process. Just because a system is abused and misused by those who take part in it, it does not mean that the system or the idea itself is inherently wrong – the behavior is what should be corrected and penalized, not the system itself. Just as it wouldn’t make much sense to burn money because people do bad things with it, it wouldn’t make much sense to ban cryptocurrencies because some people use them for illegal things. If you do view the economy as a system of control, and cryptocurrency as an argument against that control, how well does it bode for the currency’s future though? Very powerful people and institutions rely upon the agreement that money is valuable, and may not be happy to see control shift away from them as cryptocurrency experience a momentary ascendancy – might that not lead to a confrontation between the power brokers of these two systems? Maybe. 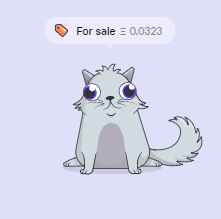 The notion of kitties, if you substitute it for something else, might make people sit up and take notice of how easily these transactions roll out though. Imagine it were drug deals or arms deals that were causing the Blockchain to bottleneck – people would want to stop it. Change it for something positive – like charities mining bitcoins, or happening on some way to gamify the system that brings them capital, and its power is hinted at. Worried it’s not stable, and that its instability may put your constituents in danger? Do something to stabilize it. Who knows, maybe at some point it might end up with blockchain being the system of choice for recording the flow of global capital, a fair percentage of which is only extant in binary form. Even the people I know that aren’t interested so much in Bitcoin and its ilk are interested in Blockchain, and if Cryptocurrency were to be drastically scaled back, skillful application of the tool that is Blockchain may make some people very wealthy. Even laying bare the weaknesses, at this stage, makes its future stronger – it can be handled with trouble-shooting, and any new thing, used in new untested ways, is going to throw up problems. They just have to be solved. Maybe the Cryptokitties are not a bad thing in the end. Cryptocurrencies and Blockchain are both young technologies, still talked of in terms of their possibilities, and a lot of times, having to solve problems turns a technology into an even more robust version of itself. By the time the game is played out, if indeed cryptocurrency does undergo the bursting of the bubble people are predicting, something more valuable may have come out of it.